Chile has regulations on police use of force and firearms that generally comply with international law and standards. The Political Constitution of the Republic of Chile was established in 1980 during the Pinochet dictatorship, but has been subsequently amended in several occasions. A major revisio took place in 2005, during the democratic government of President Ricardo Lagos Escobar. The Constitution recognises that the exercise of sovereignty is “limited by the respect of essential human rights that emanate from human nature”, and that the organs of the state are obligated to respect and promote those rights, “as guaranteed by the Constitution and by the international treaties that have been ratified by Chile and that are in force”.Art. 5, 1980 Constitution of Chile (as amended).The Constitutional Court has determined that this reinforces the principle of pacta sunt servanda with respect to international treaties, particularly those concerning human rights obligations.Constitutional Court, Judgment STC 2387.Article 19(1) of the Constitution recognises the right to life and to physical and psychological integrity of every person, expressly prohibiting the application of "illegitimate force" (apremio in Spanish). The Constitutional Court has recognised that torture is a clear example of such illegitimate force. Law enforcement in Chile is primarily the responsibility of the Carabineros de Chile, which, along with the Policía de Investigaciones, are recognised under the Constitution as the Forces of Order and Public Security.Art. 101, 1980 Constitution of Chile (as amended).The same provision states that those institutions exist to “enforce the law, guarantee public order and internal public security, in the manner determined by their respective constitutional organic laws”, and that they fall under the ministry in charge of public security (currently, the Ministry of the Interior and Public Security). A 1980 Law (18.961) is the Constitutional Organic Law of the Carabineros. This sets the framework for this form of military-style police force, but does not expressly regulate its use of force. This was initially effected in the Circular No. 1756 of 13 March 2013, issued by the Director General of the Carabineros. The 2013 Circular provided that force “must only be used when it is strictly necessary and as required for the performance of police functions”. The Circular also refers to the principles of legality, necessity, and proportionality that should govern all use of force. With respect to the use of firearms, the Circular states that this must be considered an extreme measure that must only occur when an imminent threat of death or serious injury exists to the Carabinero or any other person. The Circular gives further guidance on when lethal or less-lethal weapons should be used. In the event of active aggression where life is not at risk, less-lethal weapons should be employed. Where there is "lethal active aggression ", such as in the case of a premeditated attack involving serious or potentially lethal weapons or tactics, then firearms may be used to control the aggressor and defend life. The firearm will only be used to stop a potentially lethal attack, that is to say, to stop an ongoing or imminent attack that affects life or seriously endangers the physical integrity of the police officer or a third party. In this way, the firearm should not be used as a show of force but only to neutralize a potentially aggressive attack lethal in the most immediate way possible. A separate regulation addresses the use of force during assemblies. Order No. 2287 of 14 August 2014, also issued by the Director General of the Carabineros, approved the Intervention Protocols for the Maintenance of Public Order. These protocols govern the use of batons, chemical irritants, rubber bullets, and firearms during and in connection with assemblies. The same rules otherwise applicable to firearms apply during assemblies. With respect to chemical irritants, warnings should be given before use wherever possible (such as through the use of loudspeakers). Tear gas will be used against protesters engaged in violence or serious breaches of public order. In the central area of cities, hgowever, the use of hand-held tear gas devices and tear-gas cartridges is restricted to urgent situation once other means of dispersal have been tried and have failed. When they are used, special care must be taken especially in areas around hospitals, schools, kindergartens, and other similar institutions. When chemical irritants prove ineffective, it may be possible to use rubber bullets fired from shotguns. These Protocols are updated in the 2019 Regulation. A 1979 decree (Law No. 2859) is the Organic Law of the Gendarmería, which is responsible for safety and security in prisons. Article 13 of the 1979 decree stipulates that the officers will use weapons for the proper performance of their functions, in accordance with the law and regulations. Article 15 provides that officers must grant each person under their care a dignified treatment appropriate to their human condition, and that any humiliating treatment or abuse of authority will be duly sanctioned according to the laws and regulations in force. 1998 Decree No. 518, the Regulation of Penitentiary Establishments, demands respect for the Constitution and the law, along with the international treaties ratified by Chile.1998 Decree No. 518 on the Regulation of Penitentiary Establishments.Article 6 of the decree provides that no inmate may be subjected to torture or other cruel, inhuman or degrading treatment, either verbally or physically, or be subject to unnecessary harsheness in the application of the rules. Pursuant to Circular No. 52, the Gendarmería may use force when there is an imperative need to do so. Such use of force must be proportional. The Carabineros and the Investigations Police of Chile both fall under the responsibility of the Ministry of the Interior and Public Security while the Gendarmería is under the Ministry of Justice and Human Rights. There is no Ombudsman's office in Chile with jurisdiction to hear alleged cases of excessive or indiscriminate police use of force. by the many cases of police brutality and excessive use of force by the security forces against demonstrators during the reporting period. It is also concerned about consistent reports of ill-treatment against detained demonstrators, of police brutality against members of the Mapuche people in the context of evictions and raids in their communities and of acts of sexual violence by the police against women and girls during student protests. According to data provided by the State party in its report, between 2010 and mid-2015, 732 alleged cases of excessive use of force by Carabineros (police) were investigated, of which 392 were referred to the courts and 137 led to disciplinary sanctions. 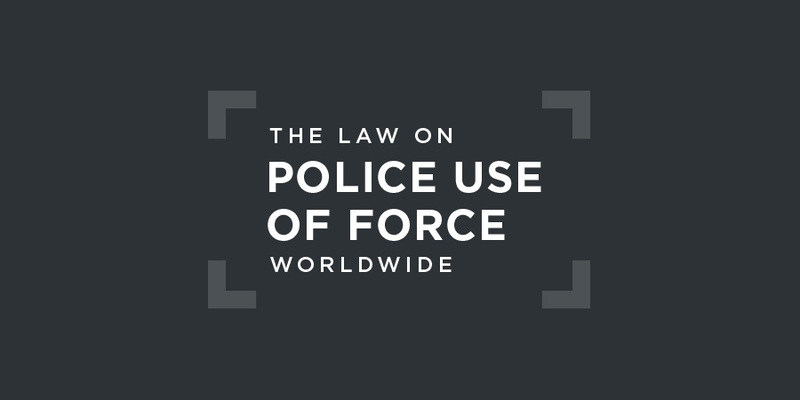 information on the number of trials, the sentences or the criminal and/or disciplinary sanctions imposed in cases of excessive use of force during the reporting period. The Committee is further concerned that complaints of police brutality continue to be referred for preliminary investigation to units that are part of the same institution as the alleged perpetrators. Ensure that all forms of gender-based violence against Mapuche women committed, or resulting from actions or omissions, by State agents at all levels, including the police, are duly and systematically investigated, perpetrators effectively prosecuted and punished with adequate sentences and disciplinary measures and victims provided with reparation or compensation. With respect to children, the Committee on the Rights of the Child's 2015 Concluding Observations on Chile noted the Committee's concern as to the “reticence of the police and the Prosecutor’s Office to promptly and thoroughly investigate and prosecute all cases of torture, cruel or degrading treatment against children that have been perpetrated by police officers.” The Committee recommended that Chile develop and monitor the implementation of police protocols and procedures on dealing with public protests that are compliant with human rights standards and the Convention in particular; and that it promptly investigate and prosecute all cases of violence against indigenous children perpetrated by police officers. There are no relevant cases before the Inter-American Court of Human Rights that have dealt with violations by Chile of the right to life and freedom from torture as a result of the acts of its law enforcement agencies. Despite the failure to provide the Committee against Torture with details of prosecutions for unlawful use of police force, it appears that many have occurred during recent years. While not per se legally binding the protocols and circulars adopted by the police are frequently used as the standard to adjudge their use of force. For instance, in a decision of 12 March 2015, the Court of Appeals of Valdivia (Case No. 14/2015) accepted a request of habeas corpus in a case concerning excessive use of force against an indigenous population. In its decision, the Court explicitly said that the proceeding of Carabineros “was not proportional, and the use of dissuasive tools was outside its own institutional protocols”. It referred to a specific breach of one of the protocols, which served to qualify the conduct of Carabineros as “illegal and arbitrary”.